This design named Sentimental is COPYRIGHTED by Trish Kristoffersen 1995. 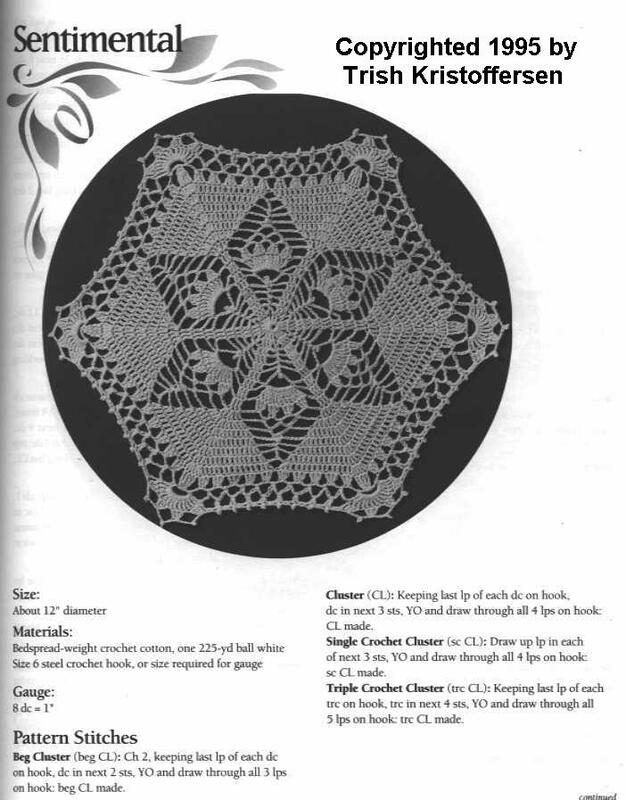 This pattern is from the book called Heirloom Pineapple Doilies. It is now out-of-print, and all COPYRIGHTS have reverted back to me. Please do not post this pattern to your site since it will take traffic away from my site. 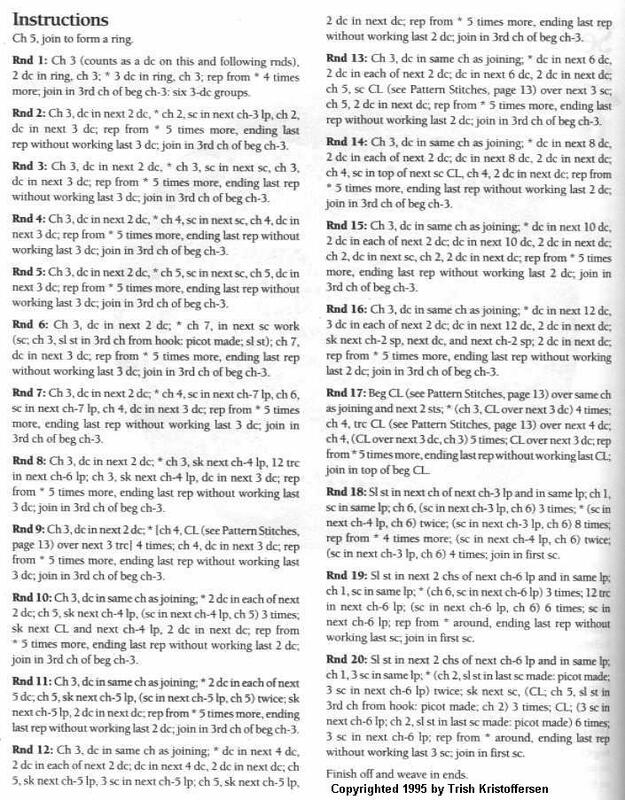 please click on each page of instructions and then print that page. This page cuts off your print job, leaving out instructions.